Winter Solstice is on the near horizon and another new year is preparing to land bringing with it who knows what for us all in this magical mystery tour called life on earth. Does anyone know what’s actually happening? Here we are, poised between heaven and hell, between an old dream that does everyone and everything it touches harm and a new dream in which we might actually awaken and realise our responsibilities and the effect we have on each other and this whole web of life we so depend on. I witness myself and many of us living in the space between these dreams. Sometimes I find the inner space and awareness to dance deeply with what’s happening, like a surfer – relaxed, balanced, focused and calm, riding the very edge of possibility. And sometimes I thrash around in the victim-persecutor-rescuer dance of all that has been and all that is. In the first place, I find the enormous courage it takes to see how I am the master of my own perception. And in the other, I fall again and again into the comfortable known of the deadly dance that is at the root of pretty much all of our human suffering. We are on the knife edge of evolution and that is an uncomfortable place to be. We have seen the story but we are still in it. Only through being honest with ourselves can we make space for both realities, acknowledging one and step by step, moving towards the other. Yes, we hurt each other. And yes, we are powerful in ways we do not recognise, paradoxically most of all when we don’t feel it. In the past decades, it seems to me that evolution or at least change is speeding up, so much so that we can witness these interchangeable realities as they vie for supremacy inside us, between us and all around us. It’s a messy, time-consuming battle between old and new paradigms where the solid ground beneath us has become shifting sand and we need a high level of awareness if we are not to continue the cycle of violence and the victim-persecutor-rescuer dance that is apparently a necessary human theatre on the journey to becoming a dancing warrior. I want to acknowledge that sometimes I find this waking up business really hard. I know we all do. I so know the temptation to throw myself back into the matrix, plug back in and fall comfortably numb into the short-termism of the blame-shame game. As they say, better the devil you know. But then I’ve been to the other side. I’ve remembered what it’s like to fall into the dark deep well of Artemis’s embrace and watch Apollo dance his magnificent dance across the illuminated sky. And that elixir, once tasted, changes everything. And strengthened beyond gratitude, I return to the fray. I pack my bag, get back on the road and invite as many people as I possibly can in as many places as I possibly can back into movement. Over the past three decades of work, I have stood at the gateway between the safety of the known and the call of the unknown, holding up the ‘this way’ sign post, thunderous beats at my finger-tips, and divine melodies waiting to be released like thousands of butterflies from their cocoons, sweeping away the dust from our shadowed eyes so that we can see again. What a privilege this life is! What a privilege my work, the choices I’ve made to keep on rocking up for that seemingly endless gig – taking things out of bags, putting them back in, planes, trains and long night drives, a road warrior leaving the place his heart longs to stay and saying yes to the places where his heart must go. Yes, my life is an extraordinary gig and the road I have chosen to walk on has torn me to pieces often. I have no doubt it will continue to do so. Yes, I am deeply privileged. My ancestors made sure of that by surviving, and passing on a love of life that has endured some of the worst of human suffering. At times, they gave it out too. And thanks to our modern mixture of technology and the longing to learn, now I know that as well as being 92.4% Ashkenazi Jewish, some of my ancestors are North African, West Asian, Inuit and Greek. Wow, what a blend! When I discovered this blend of where I come from, I cried such deep tears. In fact, I’ve cried more tears this year than in any year before. There is so much to cry for. And at the same time, I’ve felt clearer and stronger and more connected than at any other time in my life. I’ve earned the trust of my woman. And through that, I’ve earned the right to trust myself (not blindly – I’ve seen that and it’s never pretty). Do you know how rightly hard that is? It took me just under three decades. Not because she is who she is. But because we’ve all hurt each other so much over the thousands of years, the material we’re made from has been shape-shifting across a staggering diversity of experience. And as she has upheld me and recognised me, and as I do the same for her, the force that has come through the space between us might just be the greatest force in the universe and it is hard won. Not romantic love. Not idealistic love. Not a kind of love that tells us who we should be, how we should act according to whoever’s latest gospel. But love that is real, that sees, accepts and stays steady in the face of each other’s fear, imperfection, neurosis and blindness. Love that stands up and says yes, I am with you even as I witness another layer of defence peeling away from our massively tender hearts. When we’re in the hell dance, there is someone to blame. And there are only two choices. It’s either your fault or mine and neither is pretty. That’s the vicious circle which just goes on creating more and more suffering. Or there is the infinity loop (or virtuous circle) in which the power of love is a never-ending source of blinding yang-solar-brilliance, beautifully interlaced with an ever deepening well of moss green, richly-dark-depth of yin embrace. It’s called a co-arising, a dance that is either a battle ground or a whole new creation that happens between any two apparently opposite forces. What co-arises is down to the story we tell. Either we go on starting the story at some convenient place and ignore everything that came before and everything that doesn’t fit. And in this story, it’s always somebody or some group’s fault. It’s the Jews, it’s the immigrants, it’s the government, it’s the men, it’s ‘them’ … and on and on it goes. Maybe it’s just me and my Mrs., or maybe we’re all protecting the gold of the soul that’s hiding in the deepest of caves, guarded by the fiercest of dragons. Why? Well for me, it’s genuinely terrifying to reveal myself and I so want to and I so don’t. 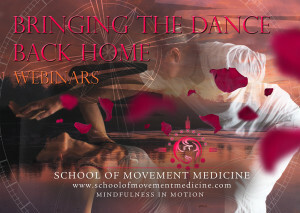 And therein is the dance dear Movement Medicine community. In my wounded and immature self, I want everyone to know what’s going on inside me without having to risk telling them. I want to stay hidden and identify with that which is broken inside me. I want the past to excuse me from the pain of revealing myself in the present. There are always a thousand reasons to keep the moon hidden behind the blanket grey skies. And more and more, thanks to the growing trust between Susannah and myself, I am able to choose this place that we are coming to recognise as mature love, and I remember that deep down place, the unbroken one, and I step forward to give what is in my heart to give. For me, this year has been all about discovering that who I truly am is the acceptance of one (the scared one who wishes to hide) and the recognition of the other (the courageous one who loves leaping into the unknown). A dance of such tender delicacy that a butterfly’s wing would crush it. A dance of such fierce jaguar courage that no stone is left unturned. A recognition that the only real safety in this world is to be who I am and give what I’ve got, regardless. So, dear dancing community, thank you for all the meetings this past year. For the tears cried and the revelations revealed. For the risks taken, for the prayers offered and all the thousands of actions taken as a result of those prayers. For the book written and released and read by many (thank you), for the new projects beginning (darlingkhanonline.com – online study in engaged shamanism), for the steady, step by step dance we are engaged in to bring this work to earth in its full form. The more people step forward to be part of the change we all wish to see, the stronger we all become. The more we step up, take responsibility for what matters to us and take steps to create it, the more likely it is that we fulfil our blueprints and make our offerings in full gratitude for the magnificent chance that life gives us. Reciprocity is the name of the game. Mature love is about taking a step further, past the idea of what we think we deserve, and recognising that what we want to receive, we must give. This is the power of the infinity loop that I am more and more aware of and it is the basis for growing up and living a balanced life. Not just for us as individuals, but across all five dimensions of relationship (community, other, self, imaginal or spirit world and source) that are the roots of Movement Medicine practice. OK dear dancers – that’s me. 2017 out. 2018 in. And off to the Amazon we go (please click for an opportunity to give). Have a deep transition and don’t forget to let the Great Spirit know who you are as often as you can. Where’s the Great Spirit? Everywhere you look. And everywhere you don’t. 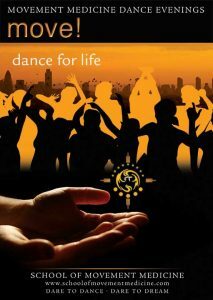 3–16 January: Dancing with the Heart of the World IV: Amazonian intensive with Dave Tucker, Susannah and Ya’Acov. Ecuador, South America. 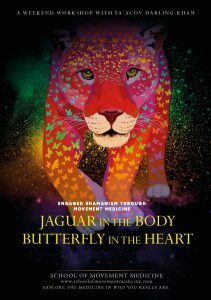 In this radical and powerful intensive, Ya’Acov and Susannah team up with Pachamama Journeys director David Tucker to take participants on a life-changing journey into the rainforest. Click here for more information about the journey. 26–28 January: 21 Gratitudes with Ya’Acov. San Francisco, USA. 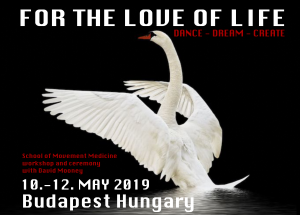 This workshop will bring the participants to the core of the work of Movement Medicine and will include a ceremonial ritual space to discover and dance through all 21 Gateways of the maps of Movement Medicine. This shamanic journey will bring joys and challenges and it will bring us closer to our very own essence. It will facilitate deep letting go, recommitting to what is important and finding balance between being and doing. 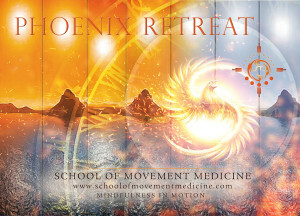 30 Jan–4 Feb: Phoenix Retreat with Ya’Acov. Port Townsend, USA. This intensive opens a space to become aware of unhelpful stories inside of us, keeping us from living and expanding into our full potential, it opens a space for a new connections with the pure and essential parts of ourselves, some of which may have been hidden behind ‘understudies’ – voices and parts that take over certain areas in our psyche. This workshop is also one of the stepping stones towards and apprenticeship with Movement Medicine. 5 February: Vulnerability and Power in the Shaman’s World, a talk with Ya’Acov. Seattle, USA. This event includes a reading from Ya’Acov’s new book, a talk, a music led shamanic journey, and a book-signing. 8 February: Vulnerability and Power in the Shaman’s World, a talk with Ya’Acov. Vancouver, Canada. 9–11 February: Return of the Light with Ya’Acov. Vancouver, Canada. This is an invitation for an embodied spring cleanse of heart, body and mind, releasing what is not needed any longer. It is also an invitation to refresh your sense of self, of your own centre and of the commitment to being all you are. A wonderful way to greet the fresh year, bringing life and light back into body, dance and being while confirming the direction you wish to travel towards.